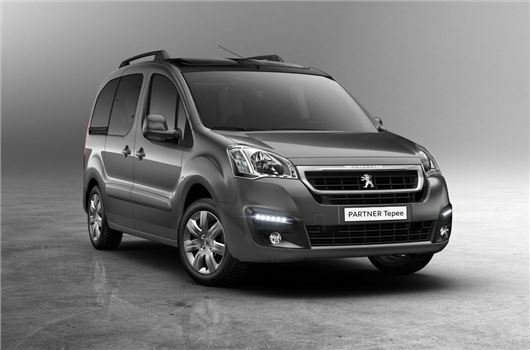 The facelifted Peugeot Partner Tepee is now available to order priced from £14,785. The versatile van-based MPV gets a new look front end and updated engines with improved fuel economy. As before, the Partner Tepee is available with either five or seven seats with three removable seats in the middle row. There's also the option of removable seats in the rearmost row which, along with the flat load floor, means an incredibly spacious and practical passenger space. The engine range has been updated with new 1.6 BlueHDi diesels making up the majority of models alongside an entry-level 1.6 VTi. The BlueHDi is available with either 75PS, 100PS or a 120PS. The most powerful version gets a six-speed manual while the rest of the range makes do with a five-speed. Two trim levels are offered - Active and Allure - with the latter coming with a touchscreen infotainment system complete with DAB and Bluetooth, although navigation is still an optional extra along with a reversing camera. Allure models start at £18,595.